Shaped baskets are fun decor items for a modern nursery or child’s room. They add natural texture and whimsical storage. Our luxe version of the Elephant Shaped Basket from Zara Home is woven of rattan and measure 13″ x 14″ x 24″. The more affordable version, the Opalhouse Elephant Basket from Target, is shown below. It’s a water hyacinth basket just a little bit smaller, measuring 12″ x 12″ x 15″. 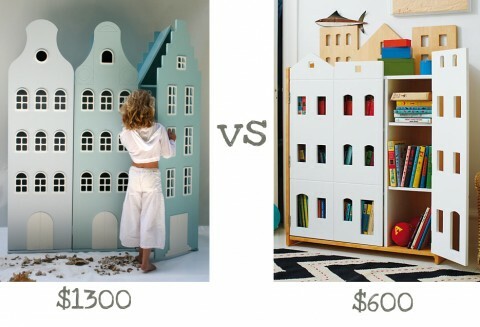 It’s been a while since we’ve posted a “Rich or Reasonable” comparison but during my last trip to Ikea, this one totally jumped out at me. I’d been looking for a new hamper for my youngest for a few months now without getting excited about anything, but when I saw the Plumsa with its black and white pattern and leather handles for $11!! !, this hopped into my shopping cart. 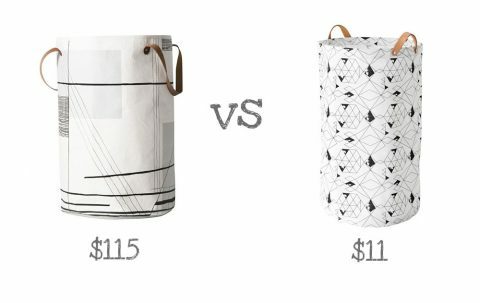 My older son already has the Ferm Living Trace Basket ($115) as his hamper and loves it, so this was an easy comparison. 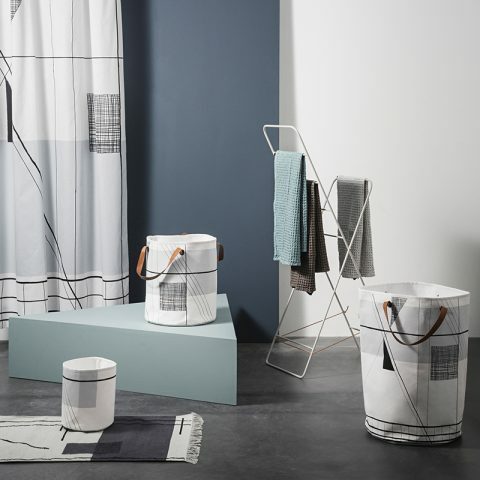 I do love the Trace Basket from Ferm Living, and they have a few additional patterns and sizes you may love as well. It’s nice that you can coordinate all their bathroom accessories. 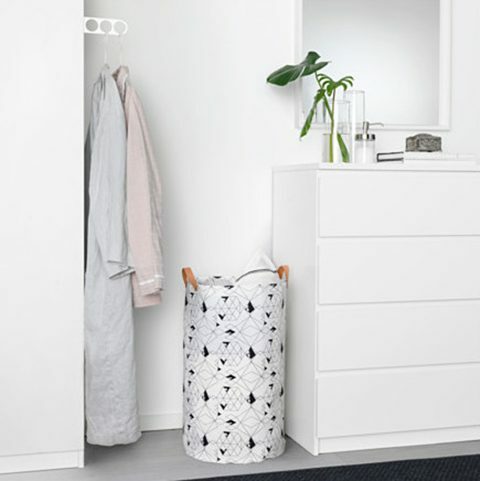 The Ferm Living basket is a little wider with longer handles, but the two hampers really do compare very well against each other. For $11, I recommend you run to Ikea right now and grab a Plumsa! 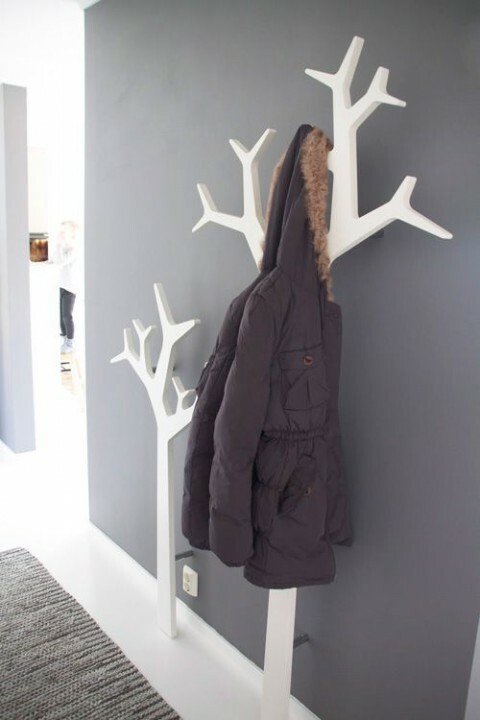 Every day I see someone has repinned this wonderful image of these Swedese Wall-mounted Tree Coat Stands. 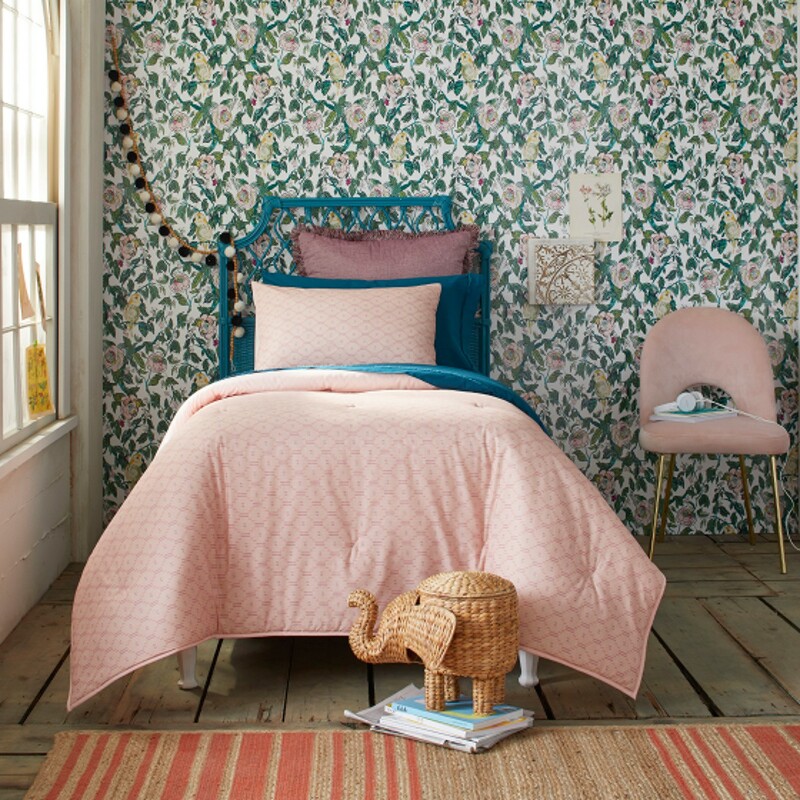 The image comes from a beautiful house tour on decor8 but I did manage to find some US sources for these. The cheapest I found was at Century House Inc. at $530 for the small one and $665 for the tall one. For some, the drama provided by these beauties might make it worth the cost, but I can understand that for most, $1200 is prohibitive. 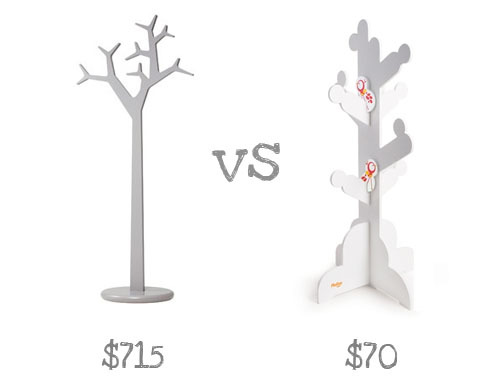 Swedese also makes a free standing version of the tree coat stand, but the price of that isn’t any easier. 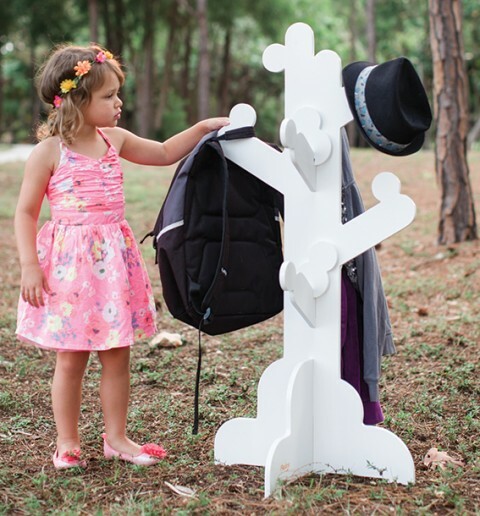 A less expensive alternative is the Little One’s Clothes Tree from P’kolino. 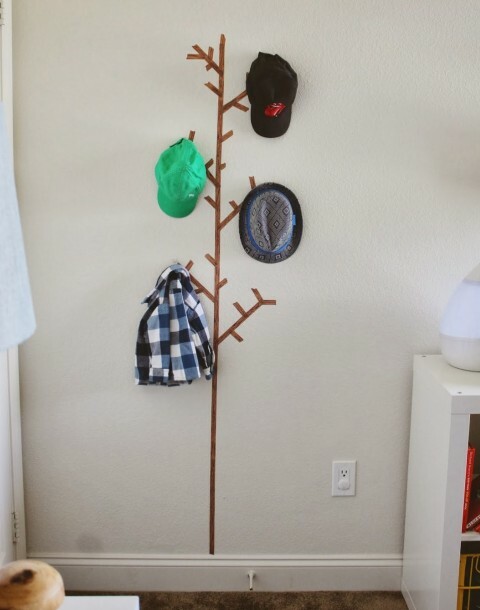 I know, it’s not quite the same look, but it is a cute little decorative coat rack nonetheless. 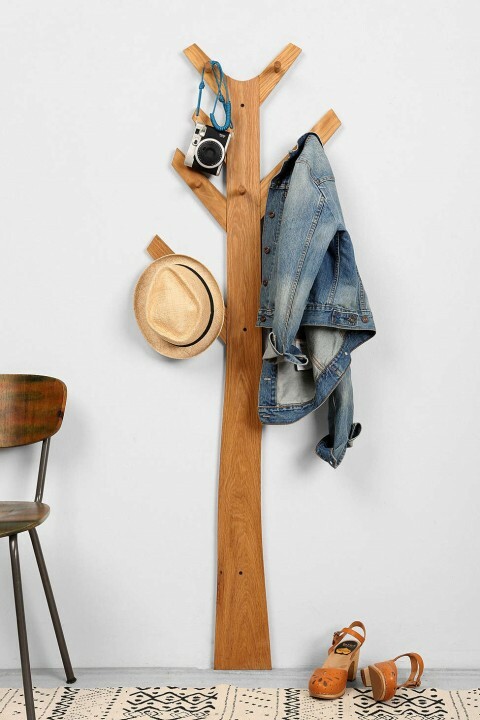 A more rustic version of the wall mounted Tree Clothes Rack is this one from Urban Outfitters from $98. I also like the idea of using a simple tree wall decal and attaching wall hooks over the top. Or even simpler, how about a washi tape tree with hooks?! So, who’s inspired for some creative storage? 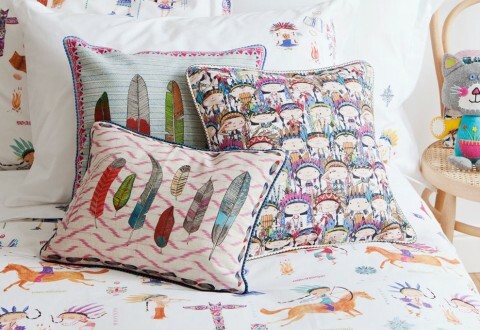 I’m a big fan of the embroidered artwork from Coral & Tusk, and I’ve just got to choose which piece to purchase first. 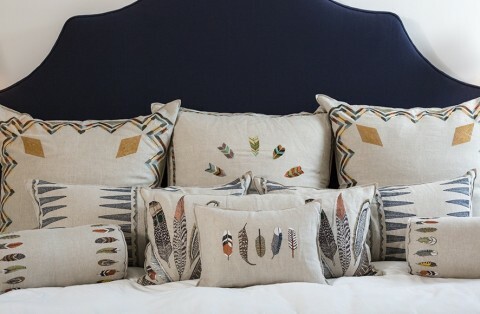 While I think that this 12″ x 16″ pillow embroidered on linen with small feather and down insert is a steal for $88, you might prefer the cotton and linen Feather Pillow Cover with a digital feather print from Zara Home Kids for $36. An extra $7 will get you the pillow to fit inside. 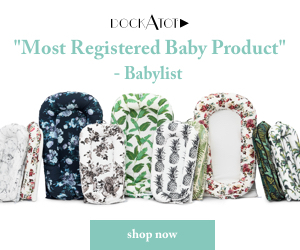 We enjoyed the Happy Chic collection at JCPenney and now there’s a Happy Chic collection specifically designed for the nursery at Babies R Us. 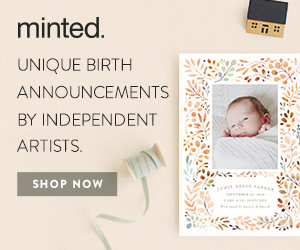 With four crib sheets grouped into two color options (pink and blue) and accessories to match, you can now get Jonathan Adler style for your whole nursery. This is a great way to get Jonathan Adler style for less. Mix a couple of the Happy Chic pieces with your favorite Jonathan Adler Junior accessories for a custom look– whatever is most comfortable for your budget! 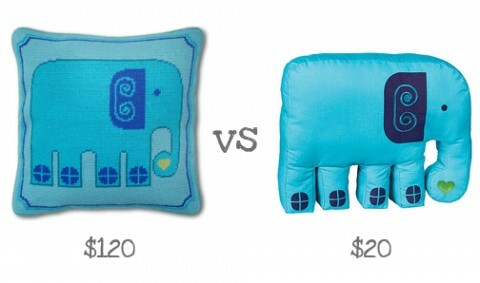 The Elephant Needlepoint Throw Pillow features an iconic design in the traditional style of Jonathan Adler Pillows. If it’s out of reach, the Happy Chic Charlie Elephant Pillow has an embroidered ear, eye and heart and might do the job for 1/6 of the price. Toddler ride-on toys are irresistibly cute, but for sleek modern style, Early Rider‘s award winning Spherovelo is as cool as they get. 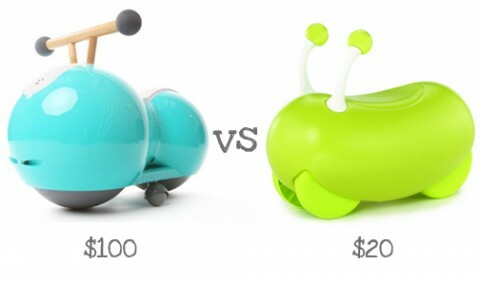 If $100 is too steep, maybe the $20 Jelly Bean Racer from Little Tikes might do the trick. The Amsterdam cabinets from This is Dutch are spectacular, large, and guaranteed to add whimsy and drama to any space, but maybe the Brownstone Bookcase from The Land of Nod would do the trick in your home. If the price difference doesn’t sway you yet, keep in mind that the $1300 price tag is for EACH cabinet and THREE are shown in the photo. Either way, both cabinets are a lot of fun and a great way to store the mess behind closed doors. 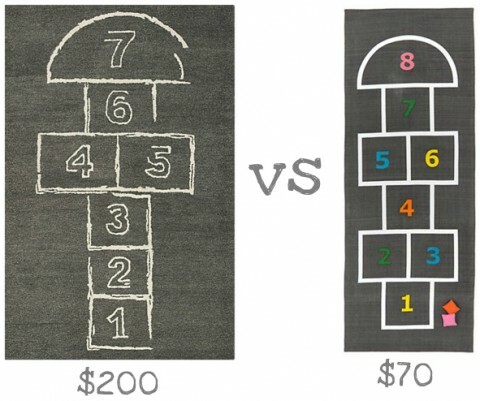 The Hopscotch Rug has been a longtime favorite nursery item from CB2. 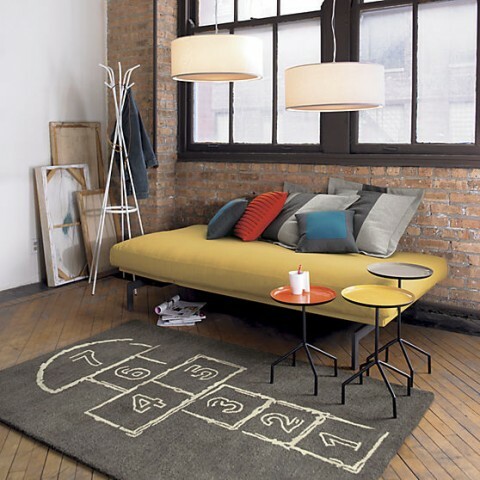 Measuring 4′ x 6′, this simple design adds a ton of fun to any space. 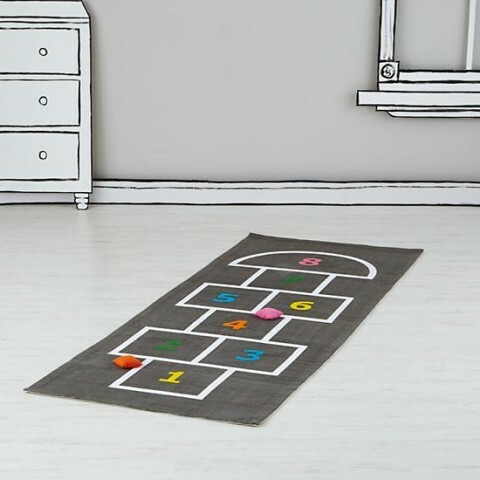 Well, now The Land of Nod has come up with their own version of the hopscotch rug in the form of the Hop, Skip and a Jump Playmat. 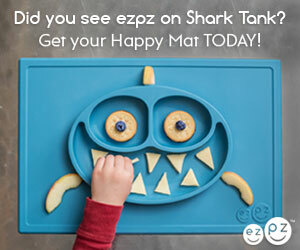 For just $70, this cotton playmat measures 30″ x 80″ and includes two beanbags to get the game going.